CLIA monotest system for the detection of antibodies to a range of infectious diseases. 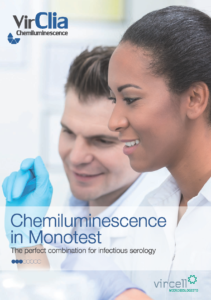 Indirect chemiluminescent immunoassays (CLIA) in monotest format to test antibodies against a large range of infectious diseases in human serum/plasma samples. 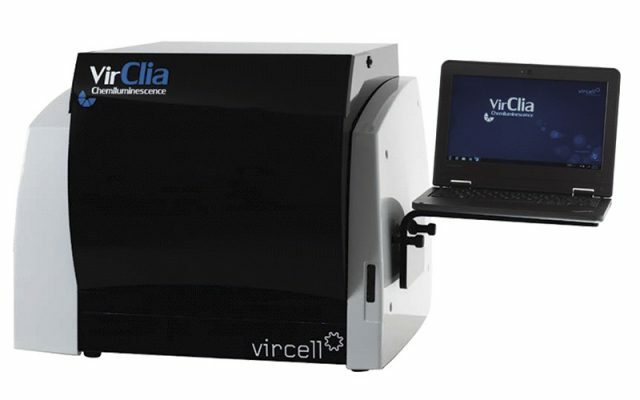 VirClia® offers the ultimate solution for the automation of infectious serology in every laboratory. Each test strip includes a calibrator and a negative control that enables the validation and interpretation of results for each individual sample, and is not based on stored curves. Launch Diagnostics is one of the major independent distributors in the U.K, providing high quality diagnostic reagents and instrumentation from world leading manufacturer’s to the Health Services of the United Kingdom, France, Belgium, Netherlands, Luxemburg and North Africa and to the Republic of Ireland through ACCUSAY Diagnostics. Offering a large portfolio of diagnostic kits, laboratory instrumentation and services, our product range has expanded over the years to include a comprehensive range of EIA, single test devices, serology products, molecular assays and instrumentation. Customer and sales support is provided by our fully trained sales and service desks.